Pancreatic cancer is one of the most deadly forms of cancer. This is because the patient will often suffer no outward symptoms until the tumors have grown considerably, causing delays in diagnoses and a dangerous progression of the disease. In addition, the large majority of patients will have tumors that cannot be fully removed, requiring aggressive treatments that are disabling for the patient and prevent him from working. As a result of the seriousness of the condition, most patients with pancreatic cancer are approved for Social Security disability benefits as long as they meet the necessary requirements. Exocrine carcinoma. Social Security provides disability payments for two types of pancreatic cancer. Cancer that affects the exocrine cells (which help the body absorb nutrients) is called exocrine carcinoma. Over 95% of pancreatic tumors affect the exocrine cells. You should provide proof of your diagnosis with medical records that show the location of the tumor, operative notes from surgeries, pathology reports, and a doctor’s prognosis. You can still get benefits even if your tumor has been removed. 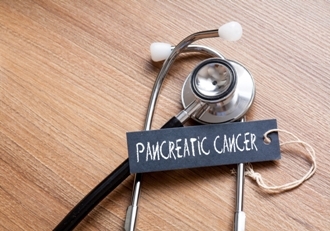 As the life expectancy for patients with exocrine pancreatic cancer is fewer than five years, the condition also qualifies an applicant to get expedited benefits under the Compassionate Allowances program. Islet cell carcinoma. Cancer in the insulin-producing cells of the pancreas is known as islet cell carcinoma. These tumors may be benign (not cancerous) or malignant (cancerous), and will often grow less rapidly than exocrine tumors. This type of cancer is relatively rare, and requires more evidence under the Social Security blue book listing. You will need medical evidence of the extent and location of the cancer, records of radiation or chemotherapy treatments, as well as doctors’ reports of your prognosis. However, patients can only claim Social Security disability if the tumor is inoperable (meaning surgery cannot be performed for health reasons or will have no real benefit), or the tumor is actively producing cancer cells and is unresectable or cannot be completely removed. Functional limitations. Most exocrine carcinoma sufferers will have no difficulty meeting the Social Security disability listing. However, some islet cell carcinoma patients may not be able to fulfill the listing requirements. These patients may still be able to get benefits for pancreatic cancer if the condition prevents them from performing regular work. For example, a patient may have had an islet cell tumor completely removed, but is in a great deal of pain and is undergoing post-surgical radiation treatments that cause nausea and fatigue. Social Security allows cancer patients to collect disability if the patient’s physical and mental abilities are affected to the point that they prevent employment. Cancer patients are often limited in the amount of physical labor they are able to perform, as many are unable to walk long distances or even sit for long periods of time. If your cancer goes into remission, you will still be able to collect benefits until at least three years from the date that the remission is diagnosed by your physician. If the three-year timespan of remission has passed but you are still unable to work because of the ongoing limitations of your cancer, you may be able to keep receiving your benefits under the Social Security’s allowance for functional limitations. Learn more about preparing a successful SSDI application in Boston disability attorney John Keefe’s book, 7 Costly Mistakes That Can Ruin Your Social Security Disability Claim. If you have additional questions or need help with your application, please contact us by using the fast online form at the bottom of this page. Excellent and very informative details.Everything is described so descriptively that one be awared of the affected disease more carefully.